Sumter, SC…..Lt Col. William C. Saunders US Army, Retired, passed away on Wednesday, January 23, 2019 while surrounded by his family. Bill was the husband of the late Virginia (Smith) Saunders. They were married in March of 1968 while attending college in Northfield, VT. He was the oldest son of the late Ralph W. Saunders and Ella (Viall) Saunders. After graduating in 1965 from Attleboro High School, Bill went on to receive a Bachelor's Degree from Norwich University in Northfield, VT and then on to receive a Master Degree in 1972 from Northwestern State University in Natchitoches, LA. After graduating from Norwich University in 1969, Bill received a commission in the US Army as a Second Lieutenant. LTC Saunders served on Active Duty from 1969 through 1972. In late 1972, Bill transitioned from Active Duty to the US Army Reserve in order to continue his service to his country. 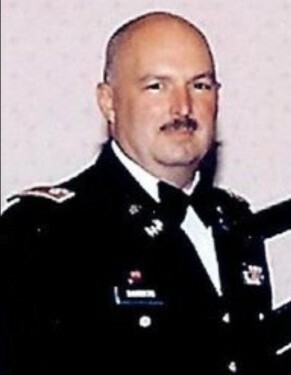 During his 26-year military career, he was mobilized for service in support of Panama and the Gulf War, as well as leading several deployments to Europe. Bill had the distinction of being a staff officer in the first US Army Reserve unit to be mobilized for a declared national disaster (Blizzard of 1978). Some of his most memorable moments where the adventures he shared with his close friend, the late Command Sergeant Major John Macedo, re-telling of those adventures to all who would listen. Bill retired from the military in 1996. While serving in the US Army Reserve, Bill held a civilian career as an Educator in the Attleboro Public School System as a vocational special needs teacher and a technology teacher. He retired from teaching in 2004 after a 35+ year career. As an educator, he believed in the advancement of technology and the education of technology to his students. As part of this, Bill was actively involved with the Technology Preparation Program at Bristol Community College. When not otherwise working with the Army or the schools, Bill assisted his family in the operation of the Credit Reporting Bureau in Attleboro, MA. for over 25 yrs. In retirement, Bill served as the Director of Veterans' Services for the Town of Rehoboth where he resided for 42 years. He was a Life Member of the American Legion and served as the local Post 302 Adjutant from 1998 to 2014. In addition to his passion for the military and veterans, Bill had a lifelong love for the game of golf. He would often say "the Golf God has a way of teasing you." while in search of the elusive "hole-in-one". After a lifetime of trying, Bill was able to attain this goal of a "hole-in-one" in 2007 while playing with friends at Stone-E-Lea Golf Course in Attleboro, MA. He enjoyed the time he spent playing the game with his friends, and most enjoyed playing with his son, grandsons, and son­in-law. Bill is survived by his daughter, Kathleen J. Lee and her husband retired US Air Force Master Sergeant Robert N. Lee Jr. of Sumter, SC, his son- Brendan J. Saunders and his wife Tracy L. Saunders of Cypress, TX, sister- Cynthia Kelley and her spouse Kathryn Greene of Tallahassee, FL, Brothers Frederick V. Saunders and wife Sandra of North Attleboro, MA and Dana E. Saunders and wife Kathy of Attleboro, MA. In addition, he is survived by 4 grandchildren, granddaughter Kayla E. Saunders of Cypress, TX, grandsons Nicholas and Joseph Saunders of Cypress, TX, and Edward R. Lee of Sumter, SC, 7 nieces and nephews, and 13 grand-nieces/nephews. Visiting hours will be held at Bullock Funeral Home on Wilson Hall Road in Sumer, SC on Sunday, February 3, 2019 from 2:00–4:00pm. Funeral services will be held Monday, February 4, 2019 at Bullock Funeral Home on Wilson Hall Road in Sumer, SC with The Rev. Jock Hendricks officiating. Interment will follow the service, with full military honors, on Monday, February 4, 2019 at 1:00 pm in the Fort Jackson National Cemetery in Columbia, SC. In lieu of flowers, the family asks that charitable donations be made to The American Legion (www.legion.org), American Legion Post 302 Rehoboth, MA (P.O. Box 1 Rehoboth, MA 02769), the U.S.O. ( www.uso.org), or other US military veterans related charitable organization.